DEET, an abbreviation for the chemical name “N,N-diethyl-meta-toluamide,” is an insect repellent that was developed during World War II to protect troops in the US army as a way to protect against bugs and ticks in the jungle. Since then, DEET repellent has become a common type of non-toxic insect repellent, placed upon human skin in order to stave off mosquitoes, ticks, fleas and other biting insects. What Does DEET Repellent Do? Biting insects are attracted to the scent of living beings. That attraction is built into their sensors, which seek out both the smell of skin and the carbon dioxide released from exhaling breaths because those are signs of the next meal. DEET repellents work by jamming those sensors – preventing them from working effectively. With their sensors jammed, the insects are unable to land on the person’s skin, and are unable to land any bites. 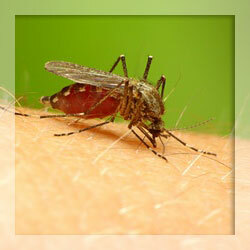 DEET repellent has been evaluated by the FDA and has been approved for regular use. It was tested with the assumption that it is not to be used outside of the instructions listed on the bottle, in which low to medium amounts of the formula are rubbed on the body infrequently. There is a small chance that larger amounts or ingestion may result in some type of negative side effect, but in moderate amounts it is completely side effect free. · You should not place DEET over open wounds. · You should test the product on a small area of the body to check for allergies. · You should use your hands to place it on your face, rather than spray it on so that you can avoid getting the repellent in your eyes and mouth. DEET also has a tendency to melt plastic, so do not spray DEET on or around any type of plastic materials. Tests have concluded that DEET repellent is an effective way to significantly reduce the amount of bites you receive from insects. However, the formula works for only very short distances – meaning that it is very likely you will still see mosquitoes and other insects surrounding you and appearing as though they are within biting range. Once they get close enough to the repellent, however, their sensors get jammed and they are unable to bite. Noticing that these insects are near you is not reason to apply more of the formula. DEET does not repel against bees or wasps, which are considered a different class of insect. What Forms of DEET Are There? DEET repellent generally comes in sprays, though it is also known to come in cream form like sunscreen and paper wipes. The sprays can be anywhere from 20% - 100% DEET concentration, where the concentration of the formula relates directly to how long it lasts on the body. Some of the creams also come in “controlled-release” form, which contains various polymers that release more DEET over time, allowing a single application.